Aloe vera is a short-stemmed and thick plant that contains much water in its leaves. Everyone at any age and with any gender has heard about the amazing benefits of aloe vera gel and juice for health, skin and hair. This herb is not strange to many people over the world. It has been used for different purposes. It is not surprising when aloe vera is used in the pharmaceutical, comestic, and food industry. Each year, it is estimated that about $13 billion is used for the purchase of aloe vera juice, aloe vera gel and other aloe vera products. When we purchase the skin care products in the beauty stores, we can read the aloe vera listed on the label of many skin care products as the important ingredient. This is because there are many beauty benefits of aloe vera for skin. Because of cooling and healing properties, aloe vera can be drunk as juice or applied topically on the affected skin areas where you have cut, sunburn, and wounds. This wonderful herb is loaded with a plenty of the bioactive compounds such as minerals, amino acids, vitamins and antioxidants. Antioxidants play the important role in protecting your health against the harmful radicals and fight against the aging process. Aloe vera gel and juice also boast many health benefits that you may not know. 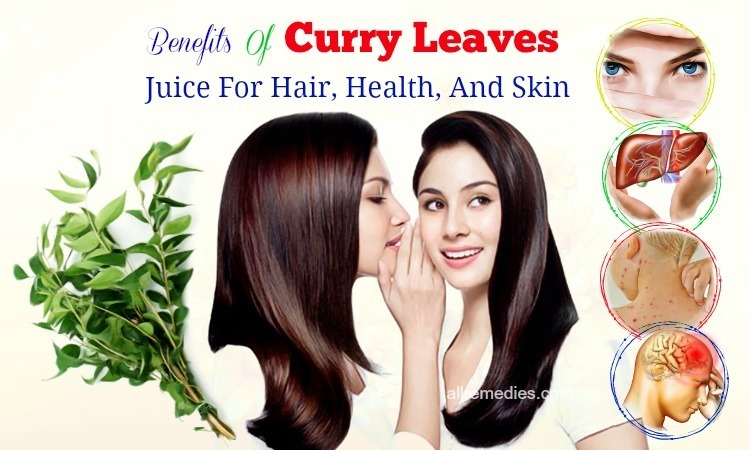 Therefore, in this article of AllRemedies, I would like to introduce to you some amazing benefits of aloe vera gel and juice for health, skin and hair. Aloe Vera is a hearty succulent herb that can grow in different climates. Interestingly, this herb can survive in extremely cold temperatures, rain-forests, and droughts as long as the aloe vera’s roots do not get damaged or drown. The aloe vera liquid can be extracted from its leaves and combined with a thickening agent to become a gel. Aloe vera gel or liquid can be sold in every supermarket and grocery store. There are many health and beauty benefits of aloe vera gel and juice that will make you surprised. Aloe vera gel and juice has long been used to cure various health problems as well as skin and hair condition. If you are interested in benefits of aloe vera, you should read this following article. People often use aloe vera gel to apply on their damaged skin rather than eating it. Aloe Vera has been utilized to treat sores, especially burns like sunburns. In 1959, the FDA first claimed that aloe vera ointment is effective in treating skin burn as an over-the-counter medication. Many studies also suggested using aloe vera topical solution for the first and second-degree skin burns. Moreover, 4 experiment studies gave the positive results showing that aloe vera can fasten the healing process of burn by around 9 days. They also concluded that aloe vera is much more effective than conventional medications. Iriin 2007, a study published in the journal Burns was conduction in 371 patients divided into two groups. One group received aloe vera topical treatment while another group is treated with placebo. After a few weeks, they tested the results. Group with aloe vera treatment saw more significant improvement in treating burn and shorter healing period time. However, some researchers argued that this evidence is not convincing enough. Further researches and more studies are going to be conducted. In 2008, another study testing the aloe vera application for six weeks found out that aloe vera can reduce the subdermal temperature within the burned skin but it does not decrease the bacterial counts or fasten the process of regenerating the new skin cells. Improper diet without brushing or flossing the teeth will result in some dental health problems. Brushing the teeth is important in dental health. It is recommended brushing the teeth right after you have meals. However, sometimes you cannot brush your teeth after a meal. Many people including adults and children go to dentists for dental health problems such as diseases of gum, toothache and tooth decay. In some serious cases, dentists will suggest root canal work or filling treatment. The cause of these problems is the plaque built up on the teeth due to bacteria. Aloe Vera is considered as the best way that helps you to prevent gum disease, toothache or tooth decay by removing the plague on your teeth. A study involving 300 people wanted to analyze the effectiveness of aloe vera mouth rinse in removing the dental plague, compared to the standard mouthwash with ingredient chlorhexidine. After 4 days of testing, researchers found out that aloe vera is as effective as in the mouthwash with ingredient chlorhexidine in removing the dental plague. Another study shared the same results when the participants involving in this study use aloe vera in over 15 to 30 day period. And here is the way that helps you remove the dental plague with the aloe vera. It is best to use aloe vera treatment after each meal including breakfast, lunch, and dinner. However, if you do not have time, you can use it twice daily. The significant result can be seen after over 15 to 30 days. Mouth ulcers are also known as canker sores can attack any people at some points of their life. They are present as small painful sores or lesions inside the cheeks and in the mouth. Mouth ulcers is said to happen at any time; however, people who are experience the periods of extreme stress and suffering from illness are vulnerable to this health problem. Because the experience of mouth ulcers or canker sores is very painful especially when sufferers are talking or eating, patients want to find the significant relief from this pain. Mouth ulcers are not a serious health problem and it can disappear within a few days without a need of medications or treatments. However, if you want to heal the painful experience and fasten the recovering process, you should consider aloe vera as the best relief. A study involving 180 people with mouth ulcers was conducted to test the benefits of aloe vera in treating mouth ulcers. The participants are asked to apply aloe vera patch on their affected areas for 7 days. 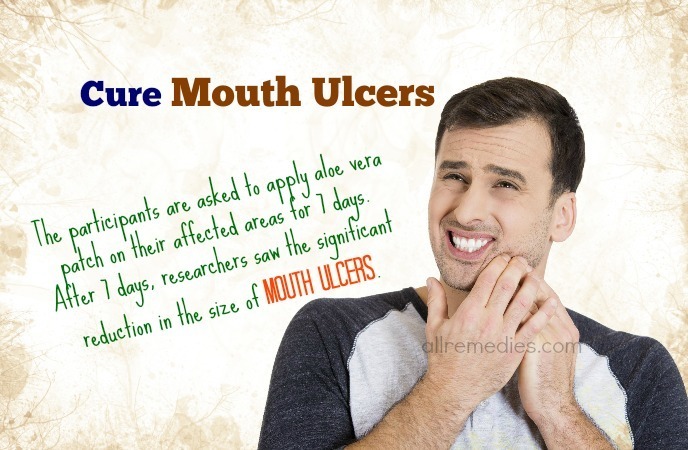 After 7 days, researchers saw the significant reduction in the size of mouth ulcers. However, this study did not see the aloe vera application outperforms the conventional treatment for mouth ulcers when they compared to the effectiveness of corticosteroids. According to another study, aloe vera not only fastens the healing of ulcers but also reduces the pain significantly. In order to use aloe vera to treat ulcers, you just need to extract the gel from aloe vera leaf and apply it on your affected areas for about 5 minutes before rinsing it off with cold water. If you want to get the more satisfactory result, you should repeat this treatment several times a day. Not many people know these benefits of aloe vera in reducing constipation. 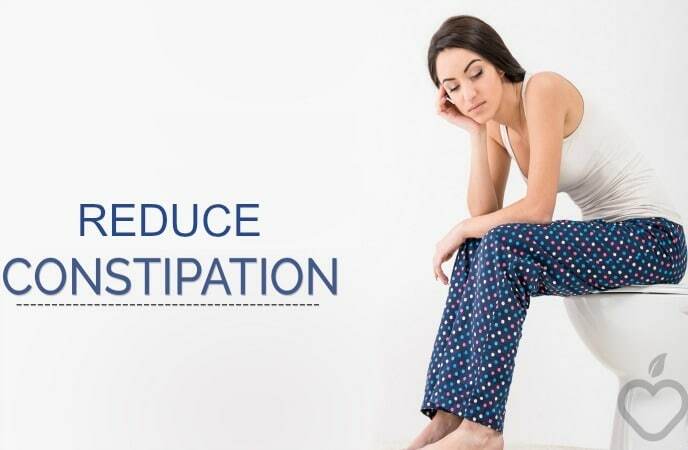 Constipation means you cannot have a bowel movement or you have it less frequently than normal. The experience of constipation is very uncomfortable and this problem is common. However, it seems shameful to tell someone about your constipation problem. 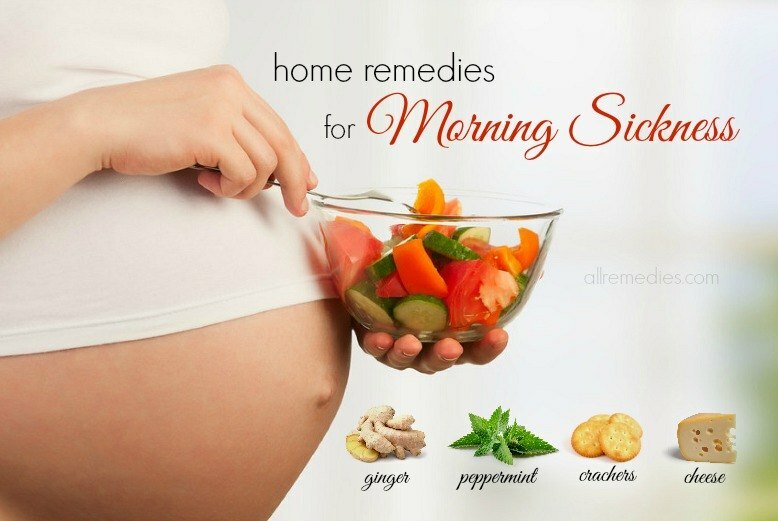 Fortunately, aloe vera will help you to find the relief. It is not about aloe vera gel but aloe vera latex gives that benefit. You can find the sticky yellow latex under the skin of aloe vera leaf. The latex of aloe vera is effective in treating constipation because it contains barbaloin or aloin, a key compound, which is known for laxative effects. Aloe vera juice is often drunk to treat constipation. You can buy aloe vera juice in any grocery store or health food stores. Some over-the-counter medications for constipation contain aloe vera latex as its ingredient. However, some doctors and professionals do not recommend using aloe vera latex as the treatment for constipation because of its safety issues. They believe that frequent use of aloe vera latex can result in some unwanted side effects for the health. For this reason, aloe vera latex is not allowed to be added in the over-the-counter medication. You can still drink aloe vera juice to reduce the discomfort associated with constipation. Asking for the beauty benefits of aloe vera, you should mention the wrinkle prevention. Aloe vera can fade away the existing wrinkle on your skin and prevent the appearance of this aging sign. In one study, there are the collagen breakdown and skin elasticity decrease in women at the age of 30 to 40. This is the reason why these women develop the wrinkles, fine line and aging spots on their skin. 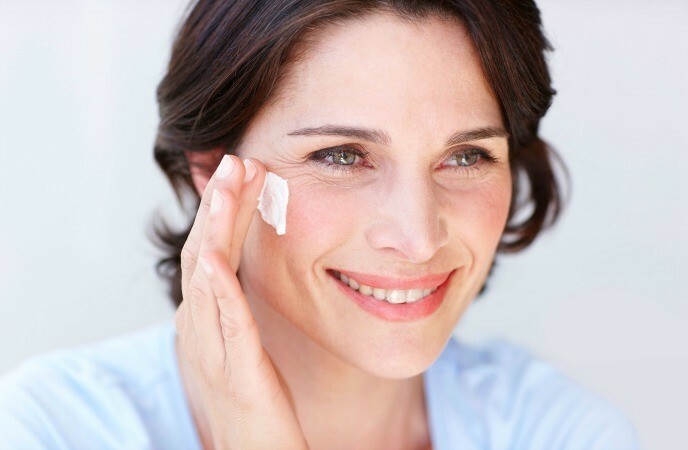 It is difficult to make these skin aging signs disappear although they have used many skin care products. However, a study has found out that aloe vera boosts the production of collagen and improve skin elasticity over the period of 90 days. As a result, aloe vera prevents the appearance of wrinkles on the skin. Aloe vera is rich in vitamin A, C and E. These vitamins help to nourish the skin and strengthen the skin cells. As a result, this herb keeps the skin from the early aging process. Moreover, aloe vera has 96% of water and is the great source of 200 healing phytonutrients, niacinamide, choline and 18 amino acids that are essential for skin health and complexion. Polysaccharides like acemannon, as well as other chemical compounds, are responsible for the regeneration of skin cells. Here are several ways on how to use aloe vera to as wrinkle treatment and prevention. Because aloe vera is natural and safe for all skin types, even sensitive skin, you can leave this gel on your face overnight for the maximum result. It is recommended applying aloe vera gel two or three times a week. Egg yolk and olive oil are well-known for the moisturizing properties. Therefore, you can combine aloe vera with egg yolk and olive oil to enhance the moisturizing benefits of aloe vera. Although it is said that aloe vera gel is safe, topical application of aloe vera still causes skin allergy and skin irritation in some people. Before applying it on your skin, you should try it on the small area of your wrist. If you see any signs of allergy, please stop using aloe vera. High blood sugar levels will increase the risk of developing diabetes as well as other serious health problems. Aloe vera increases the insulin sensitivity; as a result, it aids in blood sugar management. Moreover, aloe vera is rich in the soluble fiber called glucomannan that is responsible for reducing glucose levels. As a result, drinking aloe vera juice can help to lower the blood sugar levels significantly. 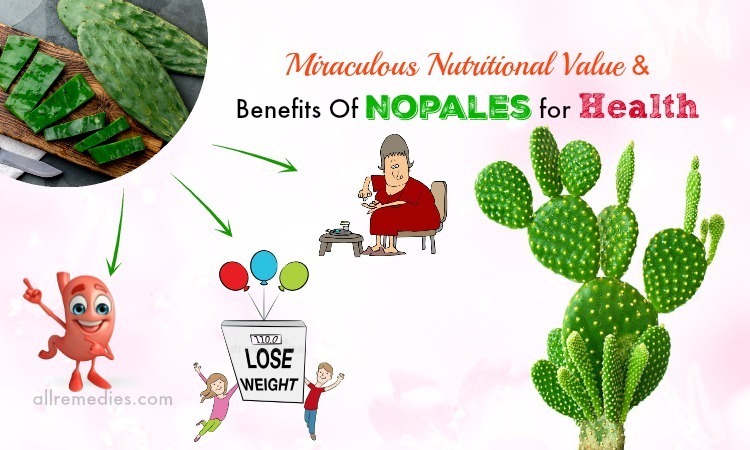 Organic phenols, anthraquinones, proteins, and lectins, key compounds present in aloe vera, are effective in lowering and keeping the blood glucose level under the control. One study found out that aloe vera consumption can lower the blood sugar levels by 50% after 2 months. Furthermore, the strong anti-inflammatory and antioxidant properties of aloe vera can keep you from wounds, infections, ulcers, and diabetes. 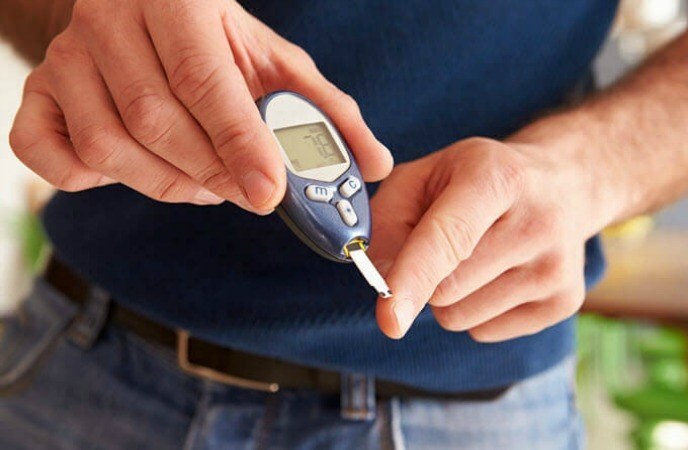 Of course, there are many over-the-counter or prescribed medications for diabetes but if you do now want to experience any unwanted side effect, aloe vera is still a good choice. People with diabetes or those who have the high levels of blood sugar need a healthy nutrient-rich diet to improve their condition. It is the best idea to include aloe vera in patient’s diet. When you want to use aloe vera to treat diabetes and lower the levels of blood sugar in your body, it is recommended buying organic and fresh aloe vera gel and juice rather than the processed ones. In the initial phase of diabetes treatment, you can consume one teaspoon of aloe vera daily. When you adjust to the aloe vera, you can increase the intake to 3 teaspoons per day. Aloe vera gel and juice have the bitter taste that makes many people dislike. You can make it sweeter by adding a little honey to it. Some people find more significant improvement in blood sugar levels and diabetes when they take aloe vera supplements. However, some studies reported that a frequent long-term use of aloe vera supplements can result in liver damage. The proper balance of alkalinity and acidity in our body is very important. This balance is known as the PH balance depending on the air and the ingested food. Improper balance can result in some health problem. Unfortunately, our body tends to get acidic at times. It is important to keep the healthy PH balance in our body in order to make sure that our body organs function efficiently. The PH balance in the body should be between 7.4 to 7.0. And a PH level of 7 means that the body is dead while a PH level of below 7 results in some fatal ailments. One of the best ingredients that help you to keep the healthy PH balance is aloe vera. Aloe vera alkalizes the body through the detoxification process. Detoxification process helps to flush out of the harmful chemicals and toxic substances from your body. Aloe vera is loaded with many beneficial nutrients and compounds such as polysaccharides, vitamins, amino acids, glycogen protein and sugar molecules. All these nutrients and compounds play the important role in the biological detoxification. Aloe vera juice helps to alkalize our inner system because the structure of this herb is 20% acidic and 80% alkalize. Aloe vera juice alkalizes the organisms in our body; therefore, it stops the growth of diseases and infections in such environment. Aloe vera has the ability to starve off different health problems and illnesses. Aloe vera has the benefits of cleansing. 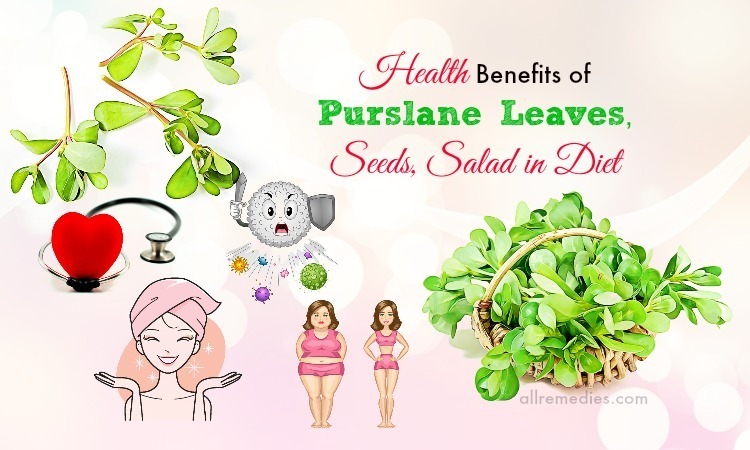 This herb has been used to cleanse and remove the waste from human’s colon and detoxify the toxins in the blood stream. If the high levels of toxins accumulate in the colon, it can travel into the blood stream. As a result, it leads to low energy, fatigue, and headaches. 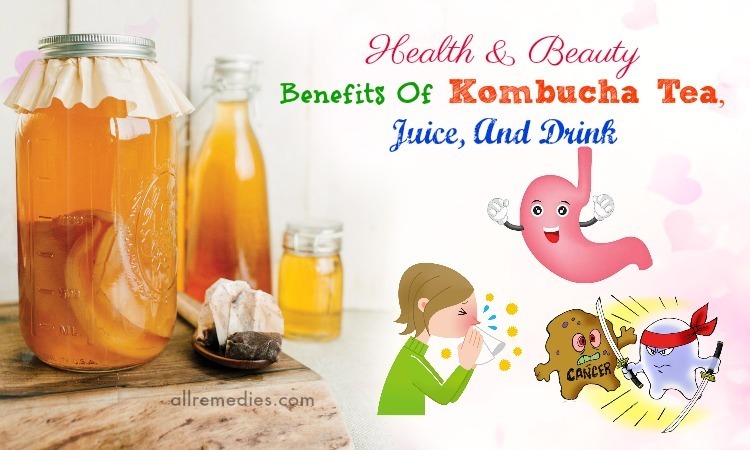 Therefore, it is important to cleanse the colon, remove the toxins from the colon and the blood stream, and rejuvenates the organisms of the body. Aloe vera juice is considered as the best solution for detoxifying the toxin. The popular method on how to remove the toxins from the colon and the blood stream with aloe vera is juice fasting. Aloe vera juice fasting does not need any complicating procedure or any lifestyle changes. Aloe vera is always available in the market in different forms such as powder, juice, supplement, and pill with an affordable price. Learn more: Top 17 natural home remedies for sinus headache relief. 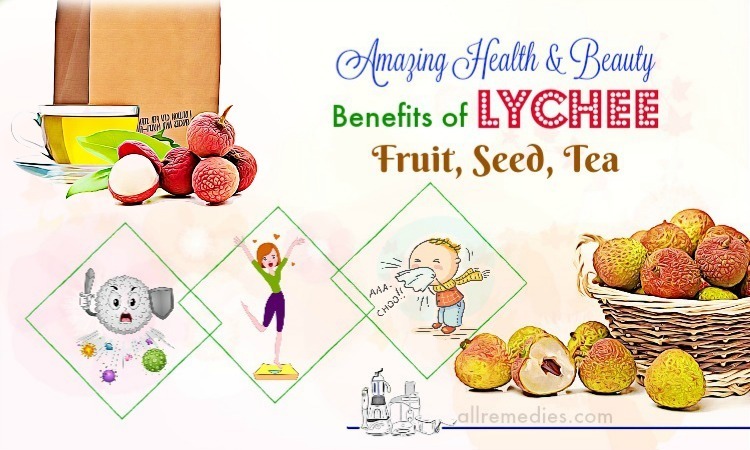 The immune system plays the important role in helping our body fight against the bacteria and viruses causing various ailments. People with the good immune system are often healthier than others with the weak immune system. You can make your immune system strong by eating a healthy diet, building a regular exercise program and stopping the bad habits that weaken your immune system. Moreover, many people may not know that aloe vera is actually an immunity booster. Aloe vera is loaded with nutrients such as carbohydrates, proteins, vitamins, fats, minerals as well as other nutrients that give you enough energy for daily activities. Aloe vera is a great food that keeps you from diseases and ailments. Aloe vera is rich in micronutrients, including minerals and vitamins, enzymes, amino acids, and polysaccharides. These micronutrients of aloe vera help to keep 60 trillion cells of our body healthy. An increased strong immune system means that you have a healthy body and have less chance of developing various diseases. When you are suffering from the illness, a good immune system helps to fasten the healing process. Fortunately, the immune system that protects the parts of your body from various ailments weakens when we age. As a result, we are more susceptible to different diseases and illness. The miracle benefits of aloe vera help to boost the immune system and keep your body strong and healthy. Of course, aging is something inescapable. However, we can try the best ways that help to slow down the aging process. Aloe vera with its amazing benefit of boosting your immune system can lengthen the longevity and make you live more than 100 years. There are many ways to get these benefits of aloe vera but the most common way is making aloe vera juice. Here is the instruction on how to make the aloe vera juice. Aloe vera juice should be your daily healthy drink for the immune booster. If you want to look for the food or drink that help you lose weight, you should not ignore the aloe vera. The natural antioxidants in aloe vera help to inhibit the growth of free radicals in your body. Moreover, aloe vera can boost your metabolism as well as decrease Body Mass Index (BMI). Aloe vera makes your body burn more fats and carbohydrates by turning them into energy. Moreover, aloe vera consumption boosts the production of collagen protein. Your body has to spend a lot of energy to assimilate the collagen protein. As a result, the needed energy for assimilating collagen helps you lose weight. Furthermore, aloe vera has the great sources of vitamin A, B vitamins, vitamin C, vitamin E, niacin and folic acid that help your body burn more fat and calories. Aloe vera is good for digestion. It can be considered as a natural laxative that keeps indigestion, constipation and other problems related to digestive system at bay. Therefore, we cannot deny the benefits of aloe vera for weight loss. Here are some ways on how to use aloe vera for weight loss. If you want to enhance the benefits of aloe vera juice for weight loss, you should combine lemon and aloe vera juice. This is because lemon contains detoxifying effects that help to remove the toxins from your organs and stimulate the metabolism. As a result, more fats and carbohydrates in your body can be turned into energy. If you do not like the bitter taste of aloe vera juice, you can add a sufficient amount of honey or sugar to make it sweeter. People who suffer from high cholesterol have the risk of getting heart attack, heart disease and stroke. These diseases are increasingly threatening the life of many American people. It is important to stay away from the foods that are high in cholesterol. It does not mean all cholesterols are bad. In fact, cholesterol is responsible for building cells in the human’s body. 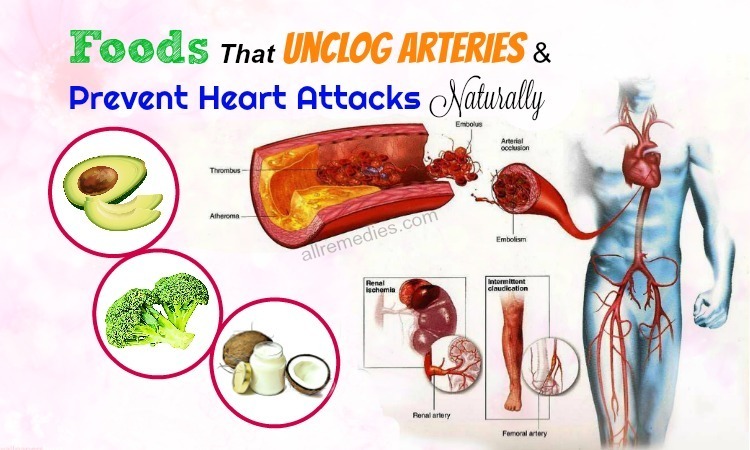 However, high cholesterol results in fat built up in the bloodstream and arteries, leading to some serious health problems such as heart disease. 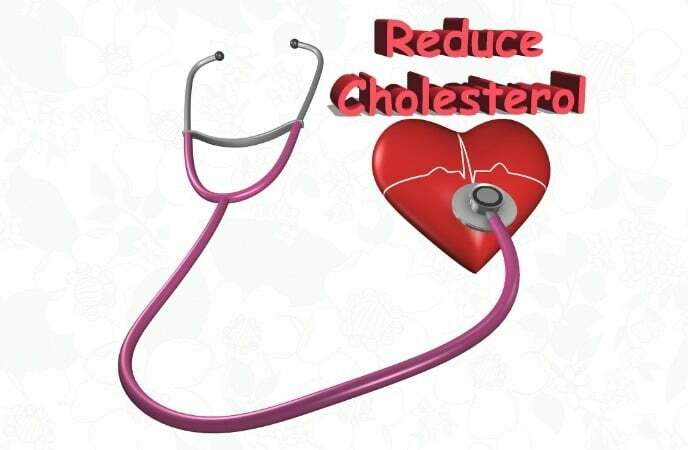 Patients with high cholesterol have to make lifestyle and dietary changes and take the medication prescribed by doctor. Moreover, many studies have proved that garlic is effective in lowering cholesterol. According to Mike Adams of NaturalNews.com, taking aloe vera internally helps to improve the quality of your blood, balance the blood chemistry and thus, lower cholesterol. Moreover, aloe vera contains B-sitosterol that slows the cholesterol absorption in the human’s body. A Thailand study showed the significant improvement in the health problems associated with the unhealthy cholesterol levels when aloe vera juice is added in the diet of patients with high cholesterol. Inflammation can be caused by many factors. They could be injury or auto-immune response. But generally, inflammation makes you feel painful and minimize your capabilities. In fact, inflammation is the human body’s response to irritation, injury, or infection. The inflammation leads to swelling, redness, pain, and warmth. When something occurs to your body, for example, an injury or an infection, your immune system boost the blood flow to the affected areas. As a result, it helps your body regenerate and heal its problem. Although inflammation is an uncomfortable experience, it still plays the important role in healing your body. Aloe vera with anti-inflammatory properties fight against the inflammation but this herb still soothes and heals the inflammation. Campesterol present in aloe vera and many vegetables, fruits, seeds, and nuts have the ability to reduce the inflammation. Moreover, campersterol boosts the regeneration of new cells and cure the inflamed area. In order to get the benefits of aloe vera in treating the inflammation, the best way is ingesting it. Salicylic acid in aloe vera can act as a natural pain relief. Sufferers from inflammation should drink one or two glasses of aloe vera juice daily to get a significant relief. Experience of acid reflux is uncomfortable when the patients have a burning sensation associated with the lower region of their chest. The symptoms of acid reflux include bloating, heartburn, chest pain, and burping. Many patients with acid reflux also experience the difficulty in bending or lying. Acid reflux can be treated with prescribed medication. However, you may not know that aloe vera is the natural home remedy for acid reflux. Aloe vera contains the healing properties that soothe the esophagus tract and relieve irritation. Moreover, aloe vera gel has two key compounds such as polysaccharides and glycoproteins. Glycoproteins can help to ease the pain and inflammation while polysaccharides help to boost your digestion. Aloe vera can increase the blood circulation; as a result, it is good for proper digestion. 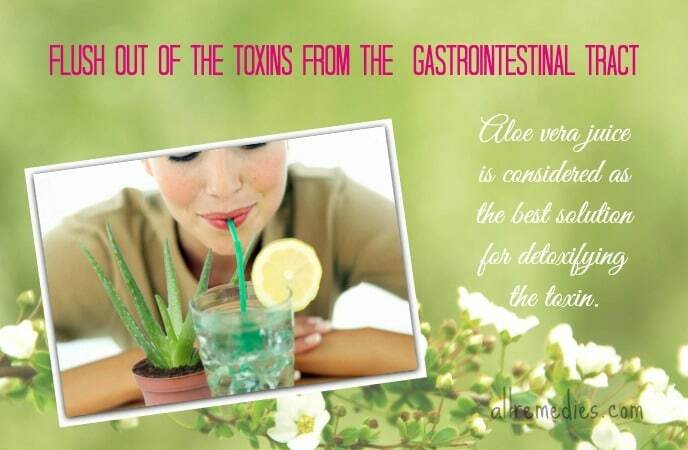 Aloe vera can make the digestive tract function well. 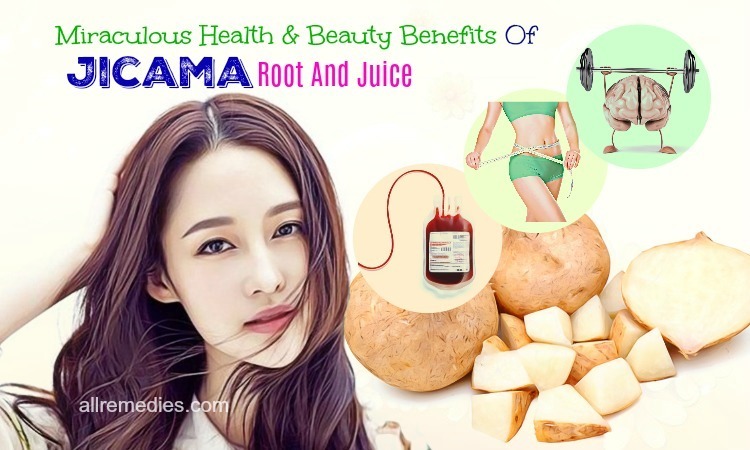 This herb is proven to contain essential vitamins, minerals, glucomannan, and 22 amino acids. Here are the ways on how to treat acid reflux with aloe vera. You can combine aloe vera with apple cider vinegar. This vinegar can balance the PH levels and improve your digestion while aloe vera gives the relief from acid reflux. There are aloe vera supplements in health stores. However, you should consult your doctor before taking aloe vera supplements as the treatment for acid reflux. The stomach helps the body to absorb food easily by using produced digestive acid and enzymes to break down the food. The stomach has a protective mucous lining that can protect the inner walls of the stomach from damage of these enzymes and digestive acid. If the digestive acids and the stomach lining are imbalanced, it can result in stomach ulcers. 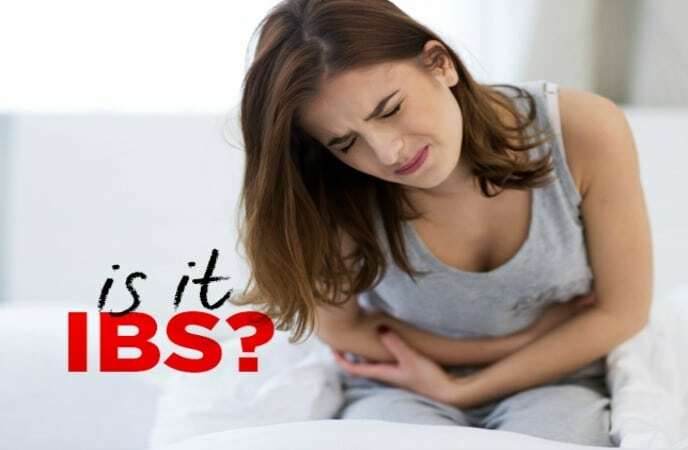 Stomach ulcers or peptic ulcers are caused by the spread of H.pylori bacteria, smoking habit and long-term use of non-steroidal anti-inflammatory drugs (NSAIDs). Patients with stomach ulcers may experience sharp or burning pain in their upper abdomen. Besides the combination of antibiotics, stomach ulcers can be treated with various natural ingredients including aloe vera. This is because the anti-inflammatory properties of aloe vera can help to give the patients with stomach ulcers the relief from the inflamed stomach lining. Aloe vera helps to prevent internal bleeding in your stomach and reduce the produced acid. With these reasons, it is understandable when aloe vera has been used to cure heartburn and stomach ulcers for hundreds of years. Various studies have been conducted to prove the effectiveness of aloe vera in treating stomach ulcers. In order to treat stomach ulcers, you just need to drink the aloe vera juice once or twice daily. However, it is still important for you to make an appointment with your doctor if you experience stomach ulcers. Aloe vera juice only helps you to fasten the healing process and reduce pain. The symptoms of irritable bowel syndrome include bloating, gas, cramping, and abdominal pain. Some patients may experience diarrhea or constipation. As I mentioned before, aloe vera is effective in treating gas, abdominal pain, and constipation. These are the symptoms of irritable bowel syndrome. Moreover, a 2006 study published in the “International Journal of Clinical Practice” investigated the benefits of aloe vera in healing symptoms of irritable bowel syndrome. Patients with irritable bowel syndrome involving in this study saw the significant improvement after one month. However, authors did not see this positive result as the strong evidence for benefits of aloe vera in healing irritable bowel syndrome. 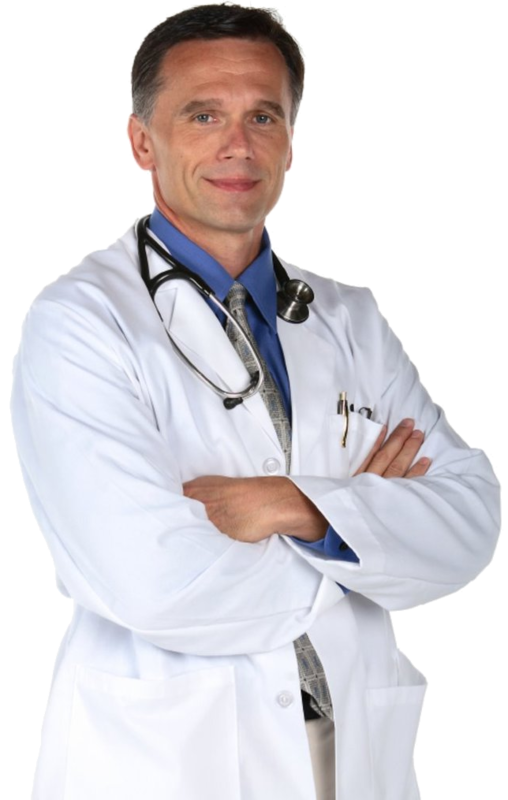 If you suffer from irritable bowel syndrome, it is important to see a doctor. Patients who are diagnosed with irritable bowel syndrome should eat regularly healthy diet, drink 8 glasses of water and avoid caffeine beverages, alcohol drinks carbonated beverages. Asking for the benefits of aloe vera gel and juice, you should not ignore that one. Aloe vera can be considered as the mineral and vitamin booster because it is packed with minerals and vitamins. Not many foods or drinks can boast the high sources of vitamins (vitamin A, B vitamins, vitamin C and E), choline, and folic acid. Aloe vera contains more than twenty minerals, including sodium, calcium selenium, potassium and iron, and so on. There are different fatty acids as well as eight vital amino acids that bring the different benefits of aloe vera. In order to keep your body healthy and nourished, you just need to drink aloe vera juice regularly. Aloe vera has 96% of water. Therefore, this herb contains hydrating properties. People who drink aloe vera juice regularly have the beautiful glowing skin and a healthy body. This is because aloe vera hydrates the skin and boosts the regeneration of the new cells. It is a great idea for you to drink one or two glasses of aloe vera juice to have a beautiful skin and a healthy body. Aloe vera juice can be bought at any grocery stores or supermarkets with an affordable price. If you grow aloe vera plant in your garden, you can make aloe vera juice from its leaf at home. You can add a little honey or sugar to make this juice sweeter. There are many strong evidence to prove that aloe vera is good for oral health. Particularly, aloe vera can be used to treat gum disease naturally and effectively. Gum disease is also called gingivitis. It is a common oral problem with uncomfortable and painful symptoms such as persistent bad breath, bleeding gums, red or swollen gums, loose teeth and receding gums. Untreated gum can develop to periodontitis and result in some further complications. Besides medical treatment, you can relieve the annoying and painful experience with natural home remedies including aloe vera. Some evidence have shown that aloe vera is effective in alleviating the bleeding of your gums. Moreover, the healing and anti-inflammation properties of aloe veral also make this herb become the beneficial remedy for gum disease. Aloe vera can act as a natural antimicrobial that helps to kill the bacteria causing gum disease. Moreover, it can prevent bad breath and mouth ulcers, the symptoms of gum disease. Here is the instruction on how to use aloe vera to treat gum disease. If you want to have a significant relief, you should repeat this treatment several times daily for a few days. Another way on how to use aloe vera to treat gum disease is swishing aloe vera juice around your mouth a couple times and then spit it out. Drinking two tablespoons of aloe vera juice daily can boost your immune system and fasten the healing of irritable bowel syndrome. Aloe vera can cure acnes and blemishes naturally and effectively. This is the reason why aloe vera is often added into skin care products such as creams, lotions and treatment for acnes and blemishes. Acnes are a common skin condition when the skin pores are clogged with dead cells, excess oil, and bacteria. Aloe vera can cure acnes and blemishes because it contains polysaccharides and gibberellins, the key hormones that are responsible for killing bacteria causing acnes and blemishes. Moreover, aloe vera can act as a natural astringent used to remove dirt, excess oil and dead skin cells from the pores. As added benefits of aloe vera, this herb can stimulate the regeneration and growth of new skin cells and thus fasten the healing of acne and pimple scars. The soothing and anti-inflammatory properties of aloe vera can reduce the inflammation, redness, and pain caused by acnes and pimples. Because aloe vera is loaded with zinc, antioxidants, vitamin C and vitamin E, acne and pimple scars can be faded away. You can buy aloe vera plant from any grocery store and extract its gel at home. It does not require a lot of work to make acne vera treatment for acnes and blemishes on face, chest, back and scalp. Here are some ways on how to treat acnes and blemishes with aloe vera. Not only aloe vera gel but also its leaf is used to treat acnes and blemishes naturally and effectively. It is the best idea if you combine aloe vera leaf with honey. Rinse it off with lukewarm water. Like the method with aloe vera gel, aloe vera mask can give you the significant relief if you repeat this treatment regularly. Enzymes in aloe vera are effective in stimulating hair growth. These protelitic enzymes have the ability to get rid of dead skin cells that clog the hair follicles and pores. Using aloe vera gel to massage your hair will stimulate the proper penetration of nutrients in the scalp and hair. This is because aloe vera opens the hair follicles. Moreover, because of alkalizing qualities, aloe vera can balance the pH level in the scalp and the hair. With a desirable level of har’s pH, the hair can grow faster. Hair loss can result in baldness, which affects more men than women. It is estimated that about 50 percent of the male population over the world suffer from baldness due to frequent abnormal hair loss. This hair condition may require permanent clinical treatments in more serious cases. 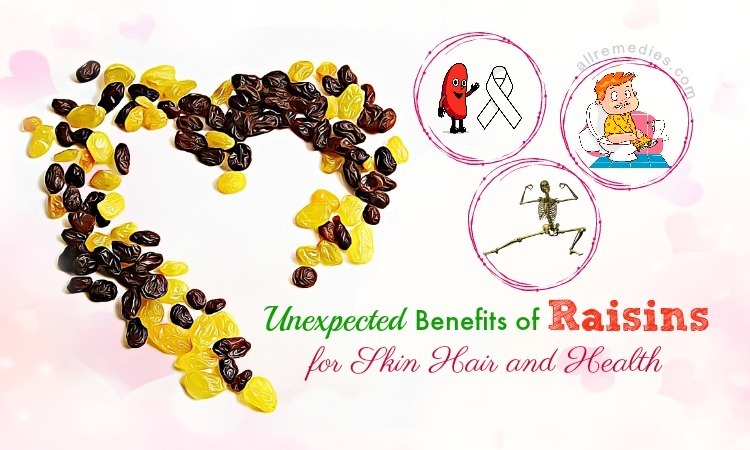 If your hair loss problem is caused by stress, poor nutrition and unhealthy diet, it is important for you to make changes in your diet and life styles. And interestingly, beauty benefits of aloe vera gel also include treating hair loss. In fact, aloe vera has been used by Egyptian for hair growth and dirt cleansing. Aloe vera is a good choice for someone who is experiencing the hair loss condition due to its enzymes and antioxidants. In order to improve hair loss condition, you need to shampoo your hair first and then take a sufficient amount of aloe vera gel in your hands. Apply this gel over your hair and your scalp. Let it sit for a couple of minutes and then rinse it off with lukewarm water. It is recommended taking the aloe vera gel directly from its leaves because it is more beneficial than the aloe vera gel purchased from a health store. The gel used for topical application should not be oxidized or processed. Aloe Vera gel is effective in nourishing your hair. Using aloe vera gel gives you a shiny hair naturally. This is because aloe vera is rich in minerals, vitamins and antioxidants. It is understandable when the best hair products often use aloe vera as their key ingredient. But you do not need to buy any hair care products with expensive cost if you can make aloe vera gel at home. The best way is to buy the aloe vera plant from a grocery store and extract the gel from its leaf. Massage the aloe vera gel on your scalp and your hair once a week to strengthen hair roots, boost hair growth and remove dirt and oil from the scalp. Using aloe vera treatment for hair regularly gives you a shiny hair. Aloe vera can be used to treat dandruff naturally, a common hair condition caused by dead skin cells on the scalp. Dandruff can be treated with shampoo. If you read the label of some hair shampoo for dandruff treatment, you can see aloe vera listed on the label. It turns out that aloe vera is an effective remedy for dandruff. Polysaccharides and pectin present in aloe vera can stimulate the growth and regeneration of new skin cells, resulting in healthy cells and healthy scalp. A healthy scalp means there are fewer chances of developing dandruff. Dry scalp is also a trigger of dandruff. Aloe vera moisturizes the dry scalps and helps to get rid of the dead skin cells from the scalp. Untreated dandruff can result in yeast and fungus on the scalp. The antiseptic properties of aloe vera can benefit this problem. Aloe vera contains cleansing enzymes that help to get rid of dandruff and dead skin cells. There are many ways on how to use aloe vera to treat dandruff. However, in this article, I would like to introduce some effective ways. Curd and olive oil have moisturizing properties; therefore, the combination of aloe vera, curd and olive oil can soothe the itchy scalp caused by dandruff. It is best to massage your scalp and your hair when you apply this paste. Aloe vera can be combined not only with olive oil but also tea tree oil. The tea tree oil contains anti-fungal, anti-bacterial and anti-septic properties that can prevent and fight against viral, fungal and bacterial infections. In this solution, when you make a hair pack with aloe vera gel and tea tree oil, you should add a few teaspoons of rose water in order to make the mixture more consistent and enhance the benefits of aloe vera gel. The itchy scalp may be the annoying experience for most people when you have to scratch the skin. The common causes of itchy scalp include dandruff, excessive anxiety, sebaceous cysts, fungus, poor hair care, viral infections, dry scalp and poor diet. If you are experiencing from itchy scalp, you do not need to worry. There are many ways that help you to treat itchy scalp, including chemical-based hair care treatments and natural home remedies. Treating itchy scalp is one of benefits of aloe vera. The anti-fungal, anti-bacterial, and antiseptic properties contribute to this benefit of aloe vera. It also contains cooling and calming effects that help to soothe the itchy scalp. In order to treat itchy scalp problem, you just need to take the gel from aloe vera leaf and then apply it to itchy scalp and hair with your fingertips. It is recommended massaging your scalp and hair for a few minutes in order to enhance the absorption of nutrients and benefits of aloe vera gel. Let it sit for about 20 minutes and then rinse it off with lukewarm water. Furthermore, it can work as an effective treatment for infections on the scalp and a wonderful solution to nourish your hair. Aloe vera not only treats dandruff but also improves the greasy and oily hair naturally and effectively. When your scalp produces the oil excessively, it can make your hair look dirty, lifeless and unwashed. 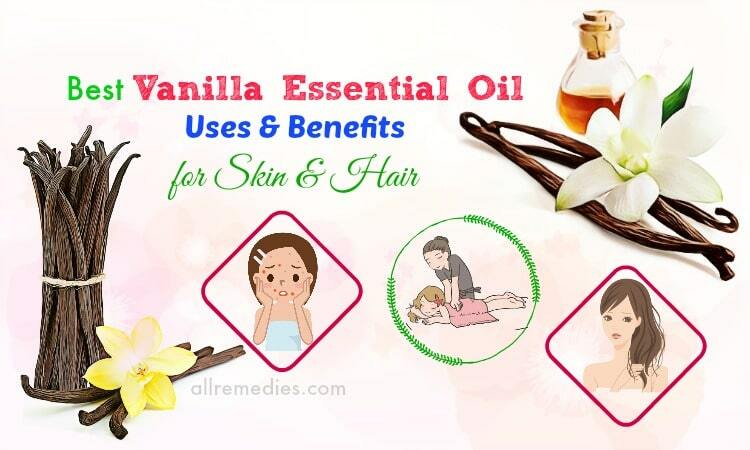 Therefore, it is important to reduce the oil secretion and improve the oily hair condition. Most people spend hundreds of dollar on hair care products that claim to get rid of the oily hair problem. However, shampoo as well as other hair care products for oily problems is not always a good choice. This is because chemicals in these skin care products can worsen the problem. 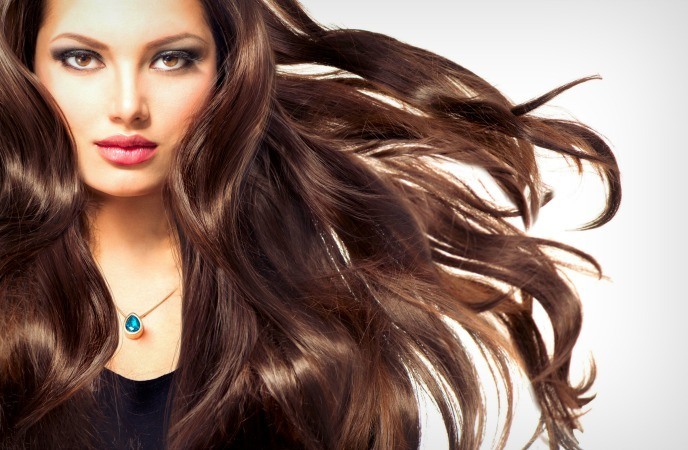 Fortunately, you can use natural home remedies to treat greasy and oily hair. The minerals, vitamins, and enzymes in aloe vera contribute to this benefit of aloe vera. Aloe vera is effective in removing the impurities from the scalp and controlling the oil production. Aloe vera can also strengthen the hair roots. For oily hair treatment, you can combine aloe vera with lemon juice to enhance the benefits of aloe vera. Use this method regularly to have a healthy hair and control the oiliness. Aloe Vera can be considered as a great moisturizer for skin. By increasing the water content in the skin, aloe vera makes your skin hydrated without leaving it oily or greasy. The simplest way is buying aloe vera gel in the market. However, this gel is not as good as the gel extracted directly from the aloe vera leaf. The gel extracted from the leaf is not oxidized or processed. Here is the way that helps you to use aloe vera as an ideal moisturizer for skin. The remained gel can be stored in a container and kept in a refrigerator for the next use. Using aloe vera gives you a glowing complexion and prevents dry skin. Unlike other natural moisturizing ingredients, aloe vera is suitable for all skin types even if you have acne-prone skin. However, aloe vera can cause the skin allergy in some patients, you should test aloe vera gel in small areas like your wrist before applying it to your face. Aloe vera gel can be used topically to treat small cuts, insect bites and bruises. Moreover, after you use aftershave lotion, you can apply aloe vera gel to soothe the irritated skin. Anti-inflammatory properties of aloe vera make aloe vera become a wonderful remedy that can treat the insect bites and wounds. In order to use aloe vera to treat insert bites and external wounds, you just need to apply aloe vera gel to the affected skin. Leave it for 30 minutes and then rinse it off carefully. Many creams for insect bites and external wounds contain aloe vera as their key ingredient. You can buy these creams in a pharmacy with an affordable price. Your skin has elasticity and collagen; therefore, it can contract and expand to accommodate the growth and changes of your skin. 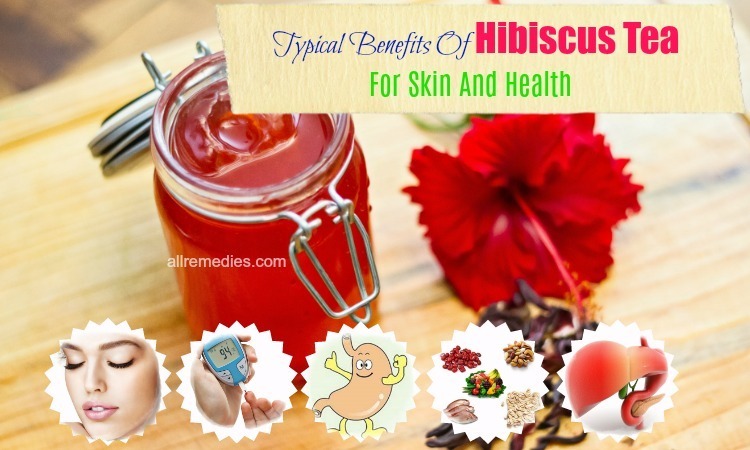 However, due to some particular reasons such as rapid weight gain, weight loss, pregnancy or injury, the elasticity of your skin is reduced and damaged. As a result, it leads to stretch marks. The stretch mark problem is a nightmare in some women because it loses their confidence and beauty. It is impossible to wear a short dress with ugly stretch marks on the skin. Fortunately, you can fade away the ugly stretch marks with aloe vera and other miracle home remedies. Aloe vera contains 75 nutrients, 20 minerals, 18 amino acids, 12 vitamins and 200 active enzymes. These essential nutrients and active compounds of aloe vera can help to get rid of stretch marks. Applying aloe vera regularly also helps you to repair the damaged collagen and elasticity; as a result, it will lessen the severity of ugly stretch marks. Moreover, water and essential nutrients in aloe vera can strengthen the skin tissues. The anti-septic and healing properties of aloe vera not only fade away the stretch marks but also prevent it from appearing again on your skin. Using aloe vera is said to boost the skin’s elasticity. The great way on how to use aloe vera to treat stretch marks is combining aloe vera gel with vitamin A and vitamin E oil. 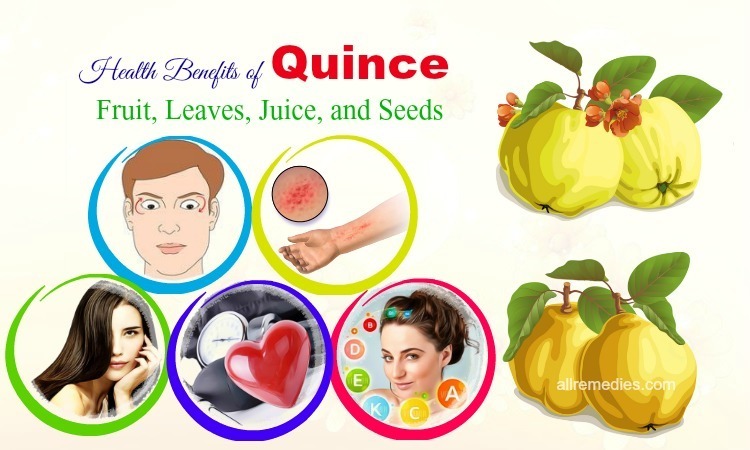 You can repeat this treatment two or three times a day to get the satisfactory result. Alternatively, you can combine aloe vera with lemon juice to enhance the benefits of aloe vera. Lemon juice is effective in exfoliating the skin cells and thus, fading away the appearance of stretch marks. You can apply moisturizer as the final step if lemon juice makes your skin dry. Freckles and pigmentations result in dull skin. Aloe vera is a great remedy for pigmentation. You can get your fair skin back with aloe vera. 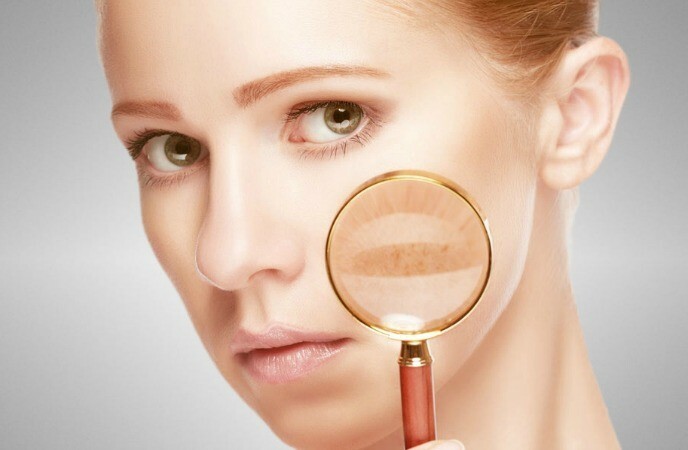 Dead skin cells accumulating on your skin can result in dull skin, acnes, and pimples. Our skin has natural exfoliating mechanism that helps to remove dead skin cells and regenerate the new fresh skin cells. However, the natural exfoliating mechanism of our skin deteriorates when we age. Therefore, we need the help of chemical and physical exfoliators to get rid of the dead skin cells from the skin and boost the regeneration of new skin cells. But there are many natural ingredients that can act as effective exfoliators without causing any unwanted side effects. Aloe vera can become an excellent exfoliator if you combine it with cucumber dices and oatmeal. Here is the instruction. This pack will help you to get rid of dead skin cells from your skin effectively if you repeat this treatment regularly. Someone who has sensitive skin always worries about skin allergy, irritation, and redness when they use chemical-based skin care products. The good news for you is that aloe vera is totally safe for sensitive skin. 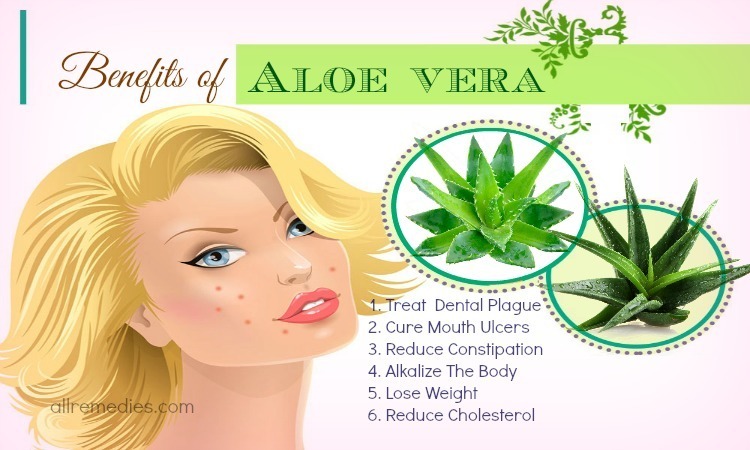 There are many benefits of aloe vera for skin you can get. For someone with the sensitive skin, you just need to mix some aloe vera gel with yogurt, cucumber juice, and rose oil and then apply this mixture on your face, your chest, neck, and your back. This paste can be used for body and face. Leave it for 20 minutes before washing it off with cold water. It is recommended repeating this treatment several times a week. These are 31 benefits of aloe vera gel and juice for health, skin, and hair I would like to introduce to you in this article. If you have any questions to ask, please raise your voice by leaving your comments bellow. I will answer them as soon as I can.